Korean star, BoA, come to Bali to live photoshoot for InStyle magazine. Not much information is obtained about coming to Bali. However, the information is known of the contents of Tweeter, which he wrote last October 5. In the role in his Tweeter account, he included a photo. 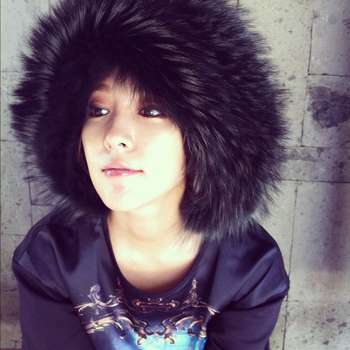 BoA appears wearing a black hat made ​​of thick fur. Hats that look suitable to welcome winter to arrive in Korea.